Was Peterson in the grips of unrelenting drug addiction? A coroner has ruled that the death of ’Can’t buy me love’ actress, Amanda Peterson was the result of an accidental morphine overdose. The autopsy and toxicology report released Wednesday by the Weld County Coroner’s Office concluded that the former romantic comedy star, 43, ingested a friend’s morphine medication for unspecified pain a week before her death, The Greeley Tribune reports. Amanda Peterson death: Did drug addiction kill her? The autopsy results come despite doctors not finding recent morphine prescriptions for Peterson. Nevertheless the former actress had been prescribed multiple medications for lung and heart disease. She was also prescribed Gabapentin after a recent hysterectomy. The coroner’s office found high levels of Gabapentin in her body but concluded Peterson died from respiratory depression because of a morphine overdose. Amanda Peterson, former teen actress at her height. Of question is to what degrees Peterson was in the grips of drug addiction given an ever recurring pattern of arrests connected to drug possession? According to a report via people, the actress had been besieged with a continual run in with the law over fights, DUI, drug possession and use that saw Amanda Peterson in and out of the criminal system. As recently as 2012, Peterson had been booked for a DUI and possession of drug paraphernalia, according to the Weld County Sheriff’s Office. The former child actress had also been arrested for third-degree assault of a woman in 2010. According to a police report, Peterson, the mother of one, ‘appeared intoxicated’ and ‘was slurring her speech,’ when she fought with the woman. Her boyfriend at the time reportedly told cops that she had been drinking while taking medication for ADHD and bipolar disorder. Booking records also reveal that the actress spent more than two months in jail after a 2005 arrest. 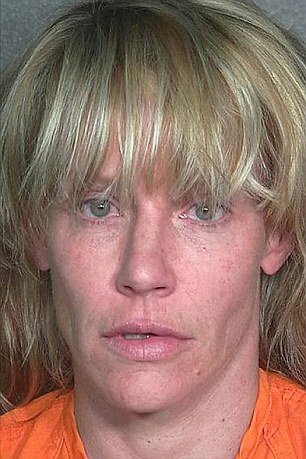 Belying concerns of unrelenting addiction, a group of mugshots show the former Hollywood ingenue looking unrecognizable, with sunken-in cheeks in one photo and another in which she has two black eyes. Images which are in shocking contrast to the starlet seen in her final photo shoot in 2012.